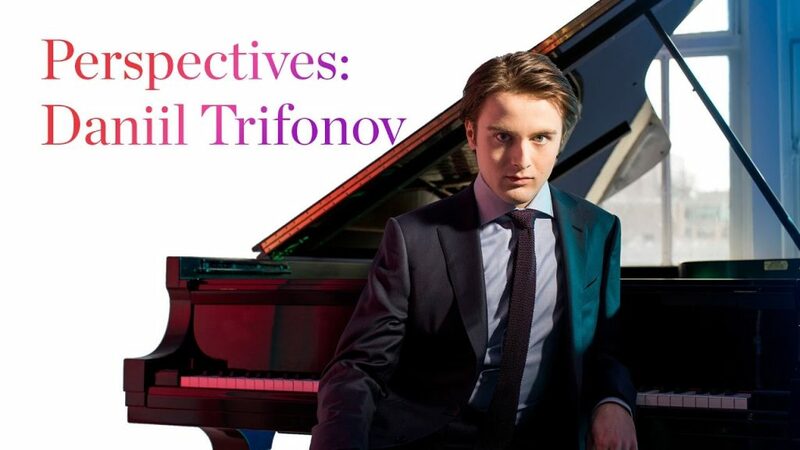 To conclude his praised Perspectives Series for the 2017-2018 season at Carnegie Hall, Daniil Trifonov returns to New York for three final performances – April 25 & 26 and May 4. On Thursday, April 25, Daniil performs with the Kremerata Baltica, violinist Gidon Kremer, and cellist Giedrė Dirvanauskaitė in an all-Chopin program. The evening hears Variations on “Là ci darem la mano” from Mozart’s Don Giovanni (arr. Andrei Pushkarev), the Piano Trio in G Minor, Op. 8, and the Mazurka in A Minor, Op. 17, No. 4. Finally, the program culminates in the composer’s Piano Concerto No. 1. The next day, Daniil is joined by the Kremerata Baltica for Chopin’s second piano concerto (April 26). In this second all-Chopin evening, Daniil also presents the Introduction and Polonaise brillante and Nocturne in E Major, Op. 62, No. 2. He also joins forces with Gautier Capuçon for the Cello Sonata in G Minor. On May 4, Daniil presents his highly-anticipated Decades recital program in Zankel Hall – which includes a seminal piece from each decade of the 20th century, from Berg’s Piano Sonata to Adès’ Traced Overhead. Discover Daniil’s tour schedule here.